I’m so fortunate to get the opportunity to work with schools, kindergarten’s and libraries using my Creative environmental Education. 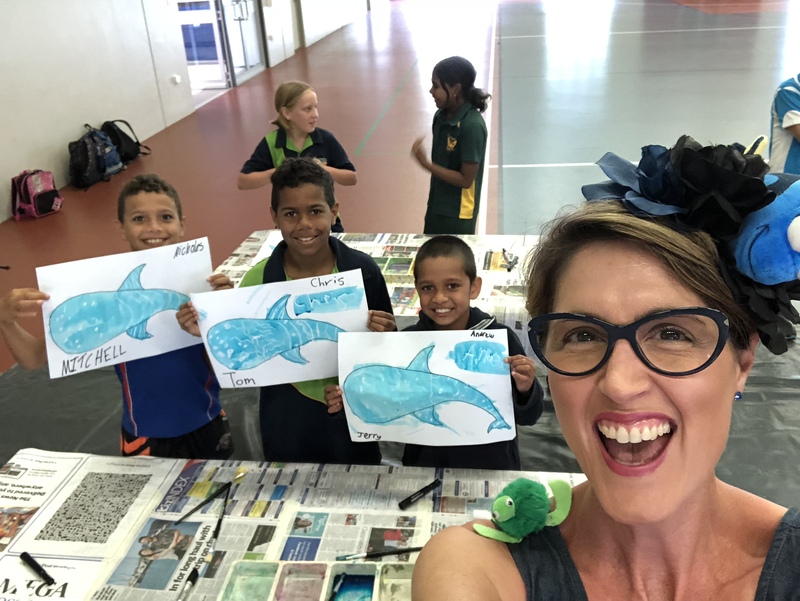 Through my alter ego Dr Suzie Starfish I bring the Living Oceans into the classroom/indoors and use the art of science and creative thinking to engage the students with the wonders of our underwater world. I like to create marine science-stories that help the students to think in colour and use their imagination, as “Logic will get you from A to B, Imagination will take your everywhere” (Albert Einstein)! From my experiences in the classroom its important to give students the opportunity to “Just IMAGINE! !“, which gives them a sense of curiosity, creativity and critical thinking — which I hope helps kids to think in colour and to care. 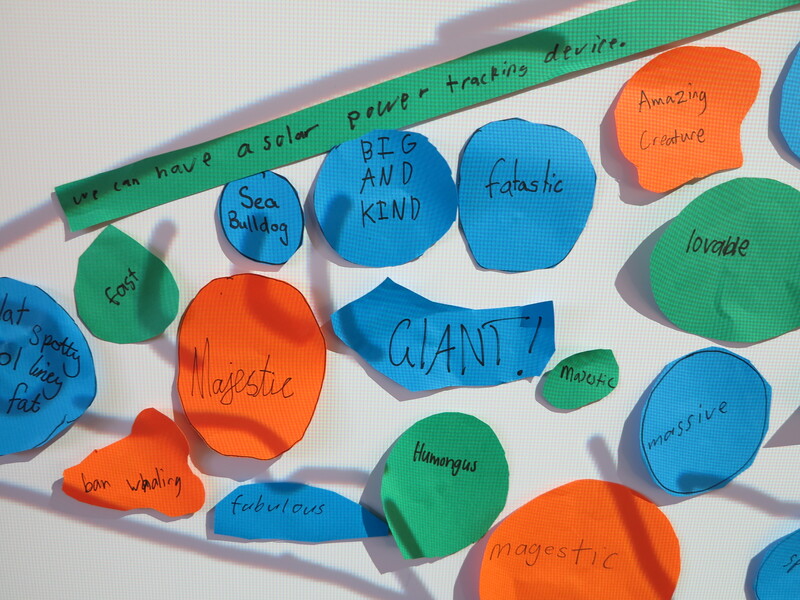 In classrooms I adopt a STEAM (Science, Technology, Engineering, Arts and Mathematics) approach which really engages with the students and teachers as shown by the examples below. 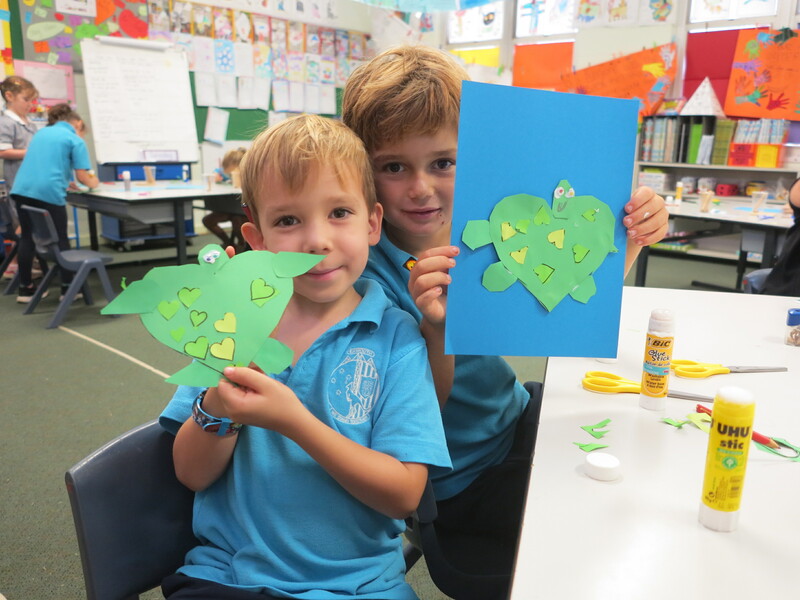 My classroom activities are also aligned to the Australian Curriculum focusing on the Biological Science, Visual Arts, Humanities and Social Science, English and Critical and Creative Thinking. I also encourage questions and engage with students and teachers about my journey to living a life of ESTEAM (Entrepreneurship, Science, Technology, Engineering, Arts, Mathematics). I believe every child has the right to live their lives with ESTEAM! 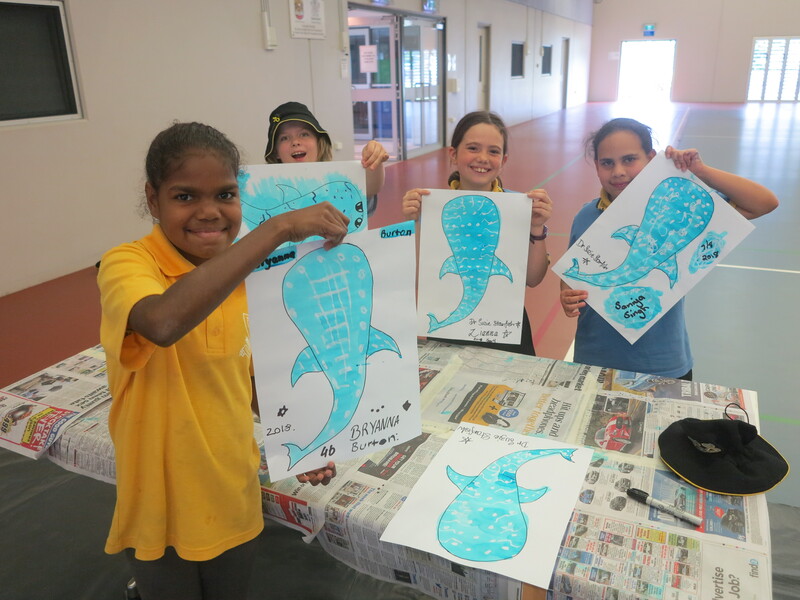 The focus of my Living Oceans Schools Incursion Program is to use a combination of marine science and visual arts to engage with as many students as possible through CREATIVE thinking. 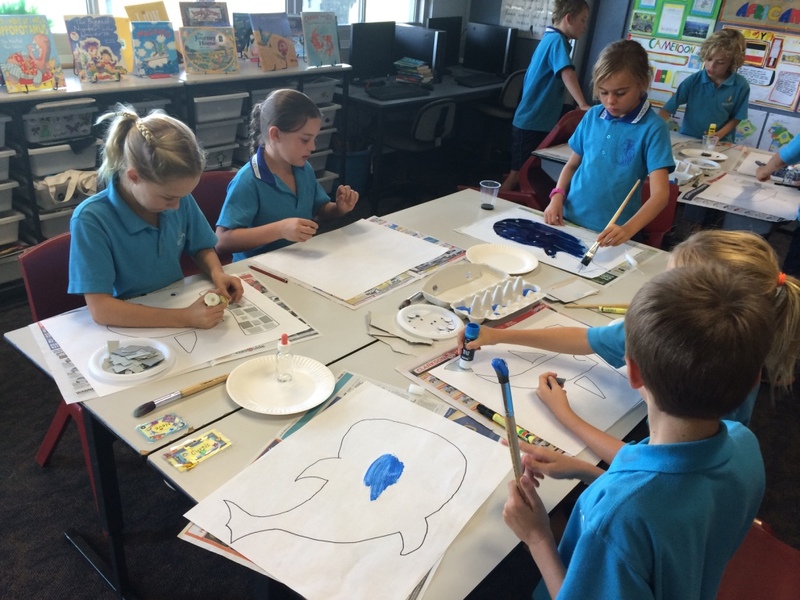 The classroom incursions are tailored to the Australian Curriculum and the work plans of the class, and the key themes and issues discussed are based on actual research occurring around the marine world. The visual storytelling is also based on my own experiences as a marine scientist, artist, author/illustrator and policy-maker, which includes real-life situations, scenarios and studies about our Living Oceans. 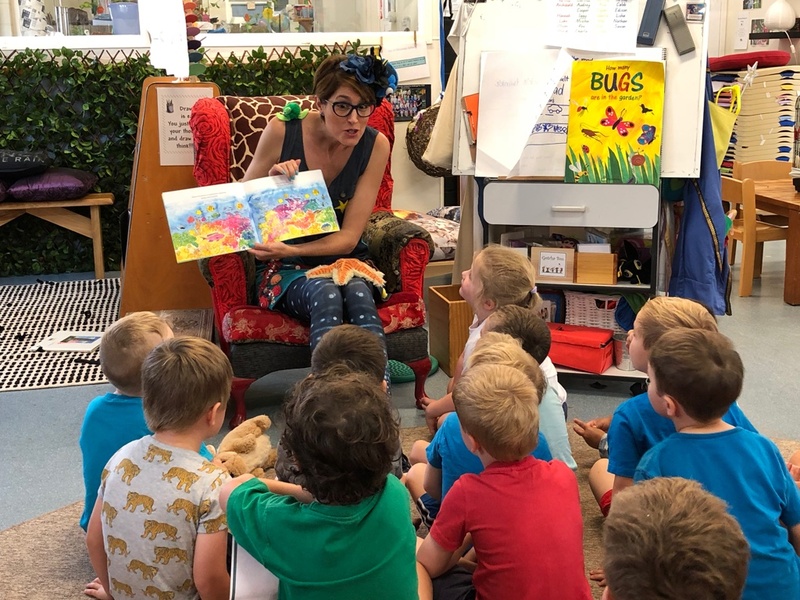 As an Aussie Author/Illustrator Dr Suzie Starfish visits schools, kindy’s and libraries to share my first children’s picture book, The Great Barrier Thief, which illustrates the impacts of climate change on our Great Barrier Reef. 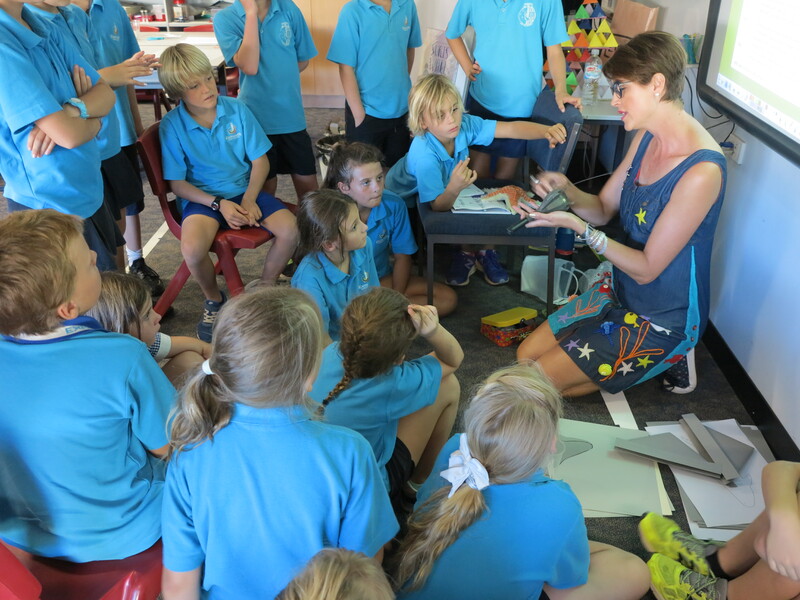 As a marine scientist and artist my classroom incursions provide more than just ‘story-time’ as I draw attention to and discuss the science, solutions and hope that each one of us can help to protect the reef. 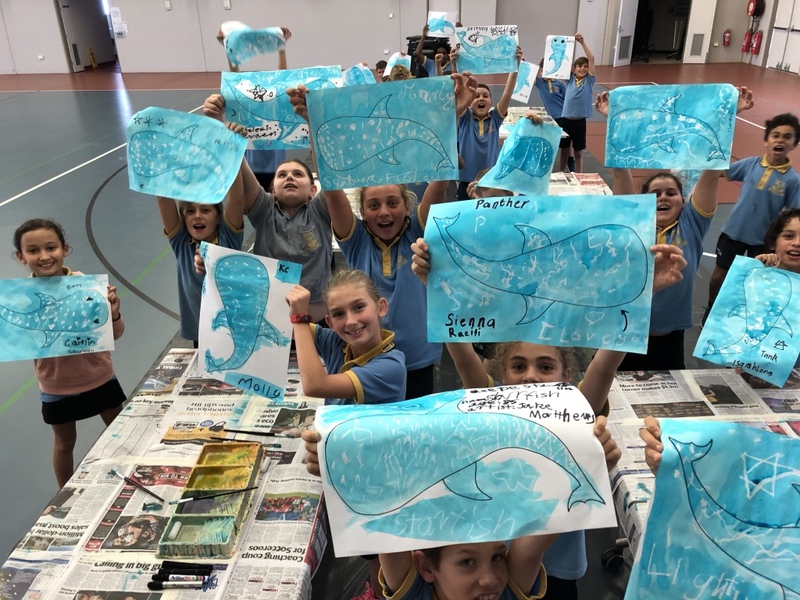 As you can ‘sea’ from the photos below stories really do engage, excite and educate children of ALL ages, from kindergarten, primary school and high school students!! It also shows that you are never to young to start learning about the impacts of climate change and never too old to enjoy story-time! I loved reading “The Great Barrier Thief” to these little starfish at Kindy (ages 4-5)! 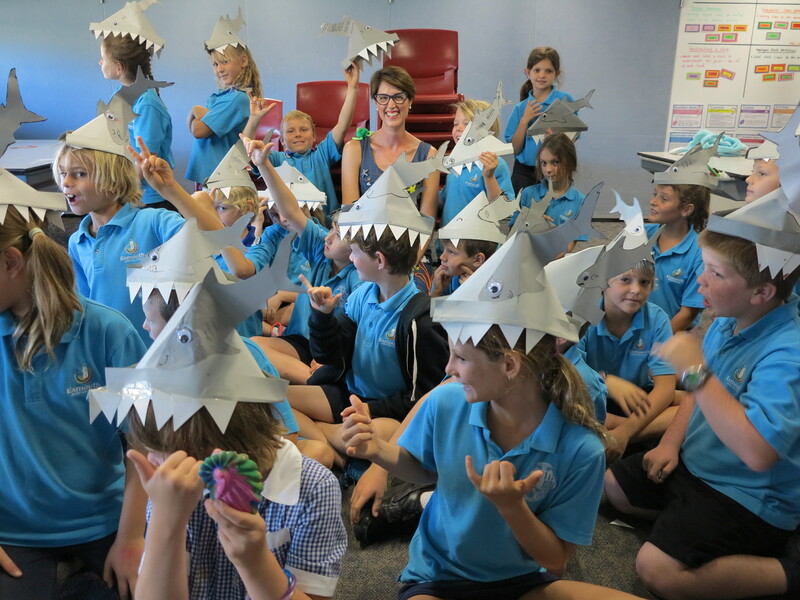 So much fun reading and discussing “The Great Barrier Thief” with these Primary School students (Years 3-4)! 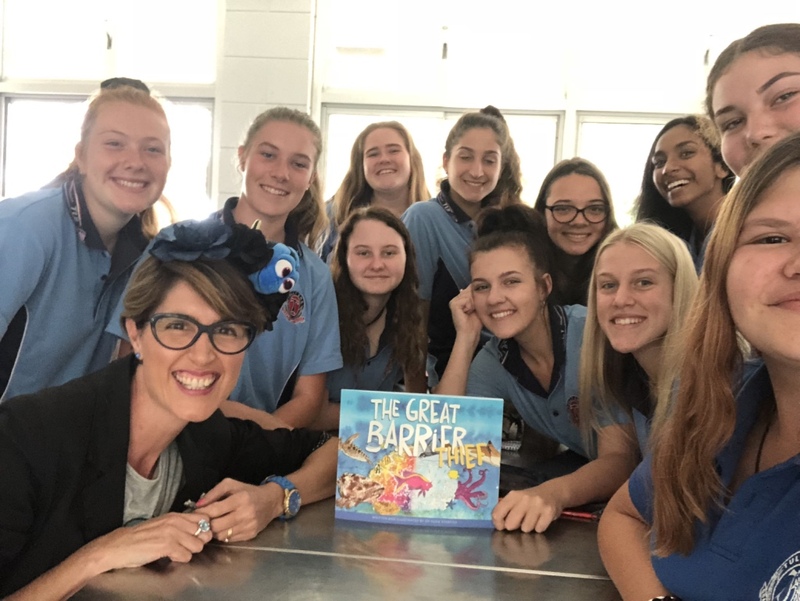 So thrilled to be invited to read “The Great Barrier Thief” to these High School students (Year 10) and discuss the science and solutions to help protect our Great Barrier Reef! 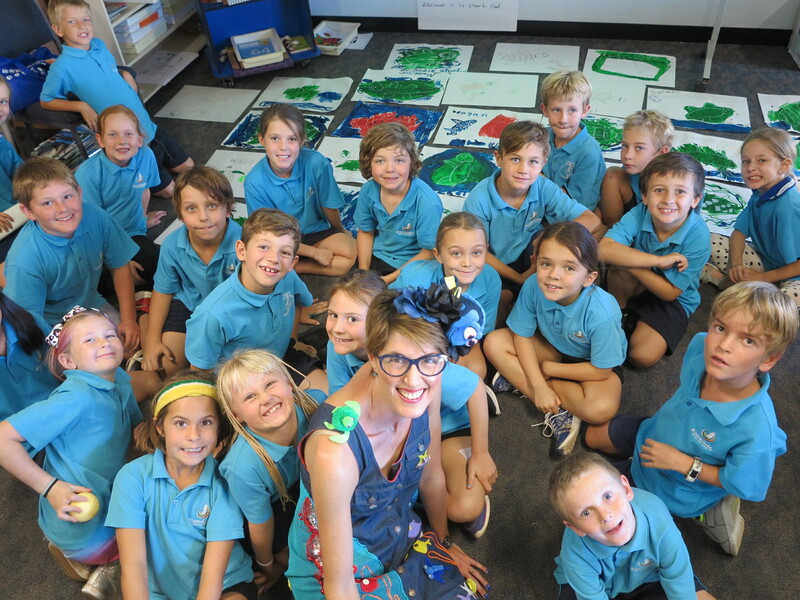 Marine Scientist/Artist/Storyteller Incursions: aligned to the Australian Curriculum this highly interactive and visual classroom incursion is tailored to all year levels and classroom needs to discuss the art and science of climate change on the Great Barrier Reef (suitable for Years 1 – 12). 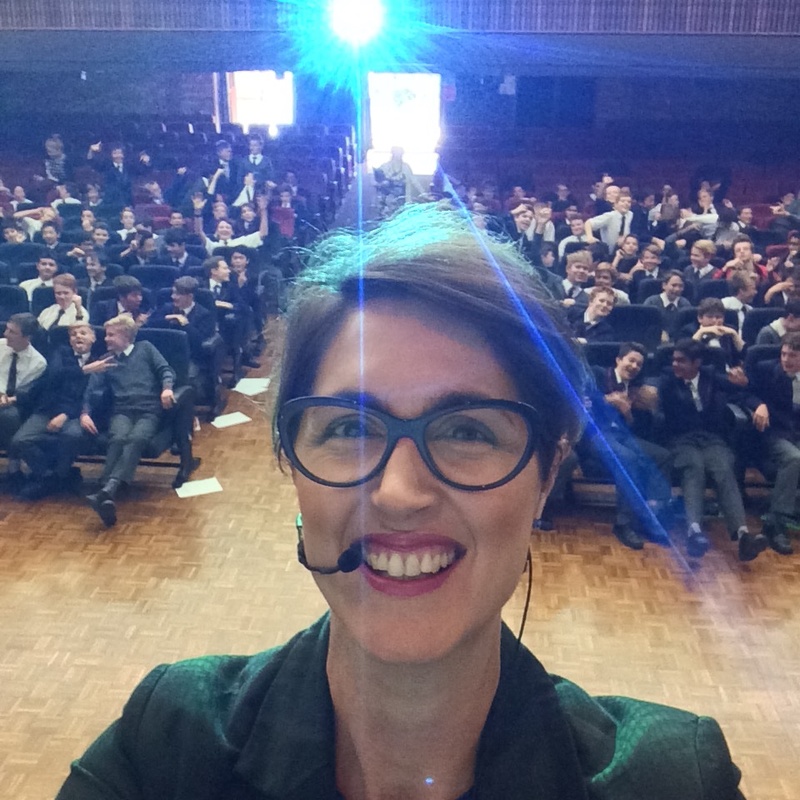 I was thrilled to be invited to Barker College in Sydney during National Science Week to share my Sci-Art of the Sea Storytelling! It was a great week of visiting many year levels from Year 2 right through to Years 7-11 to bring the “Living Oceans” into classrooms. I use the art of marine science in schools as I can ‘sea’ that a visual and creative approach really engages with students (and their teachers! ), as you can SEE from us STEAMing along in the photos below! 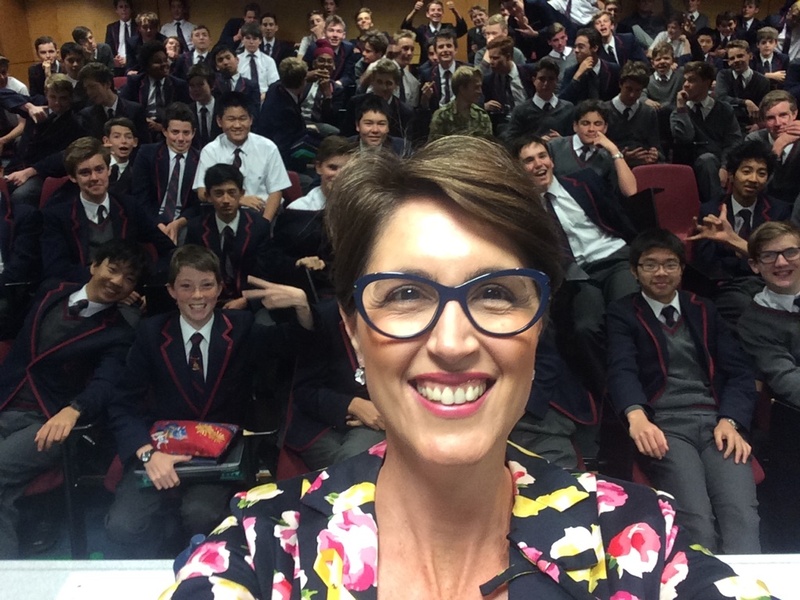 Thank you for having me Barker College! 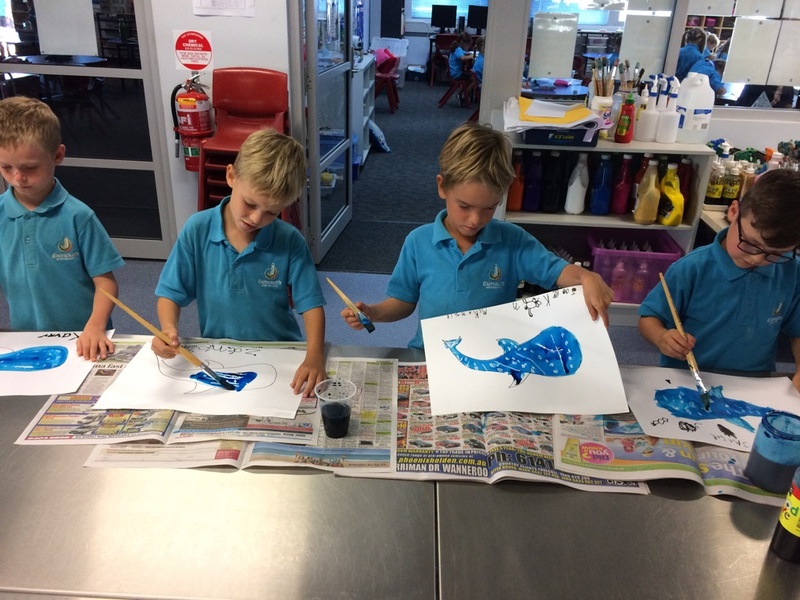 Having a Whale Shark ART of a time with Year 2 (our little School of Fish)! 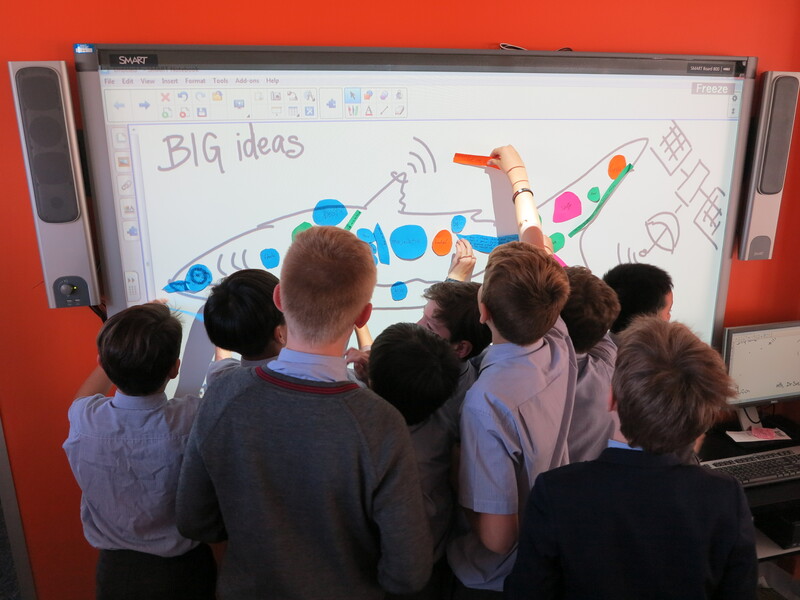 Creating BIG ideas with this Whale Shark Maker Space with Years 6! A full house at my Keynote addresses to Years 8, 9 and 10 “Tagging along with marine megafauna”, which I also graphically recorded! Gotta take a few scientist-in-school selfies too! 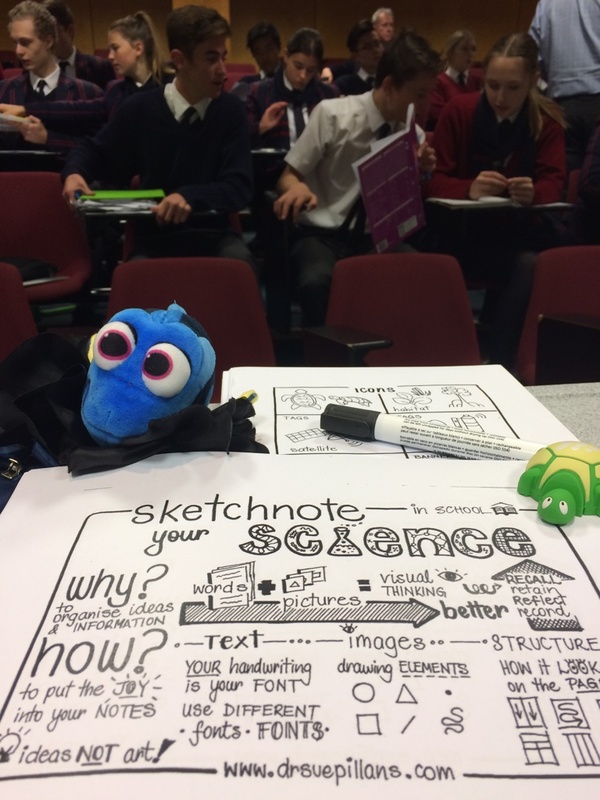 Sketchnoting your Science with Dory and Years 9, 10 and 11 Science & Visual Arts students! 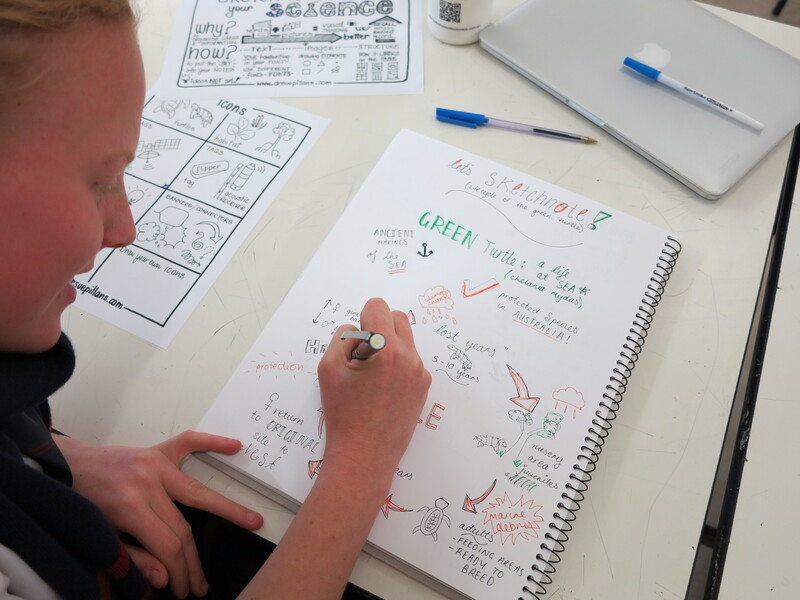 You can ‘sea’ more of this visual learning approach at Sketchnote your Science. 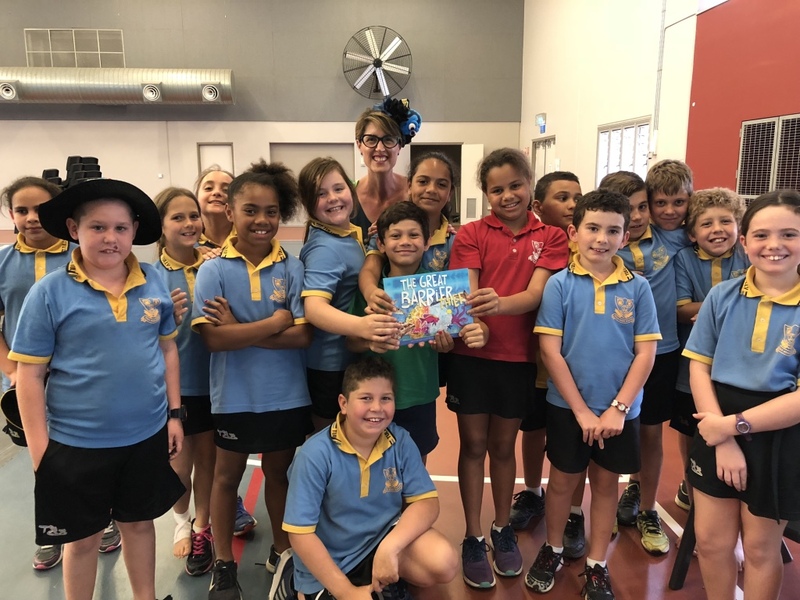 I was SO excited to be invited to visit the High School and Primary Schools in the Tully region. 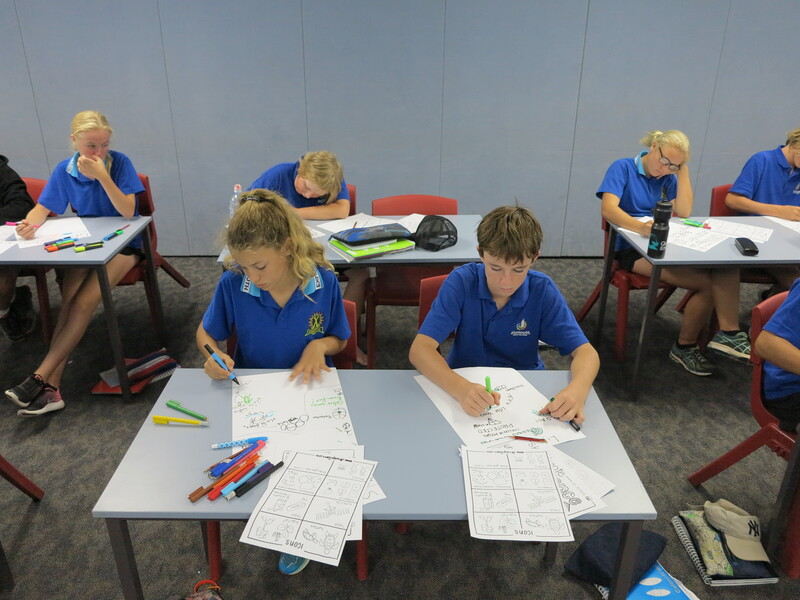 I shared how to Sketchnote your Science with the Year 7s and Year 10s and brought the Living Oceans into classrooms with the Year 4s from Tully, Cardwell, Kennedy and Murray Upper primary schools. 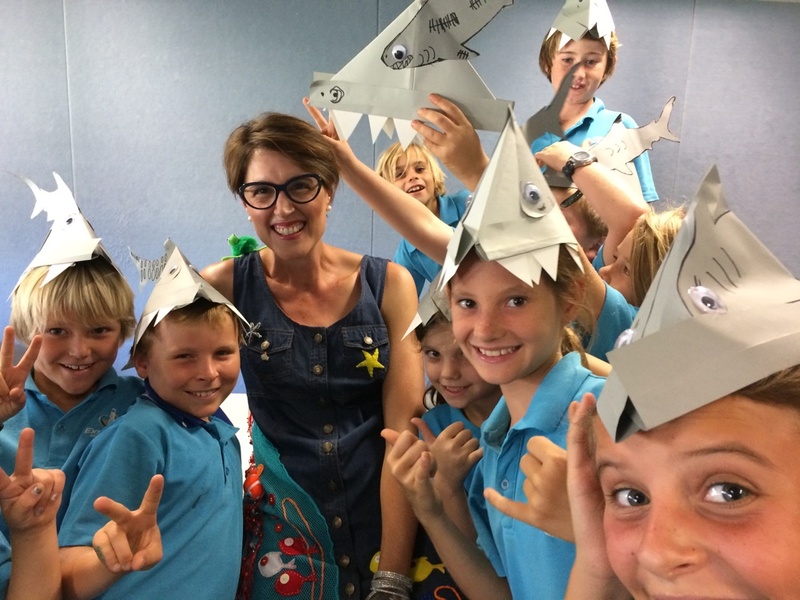 What a FIN-tastic time we had using the art of marine science and storytelling in schools. Thank you for having me FNQ!! Is there any better way to engage our children with our coasts and oceans than with Beach Kindy! 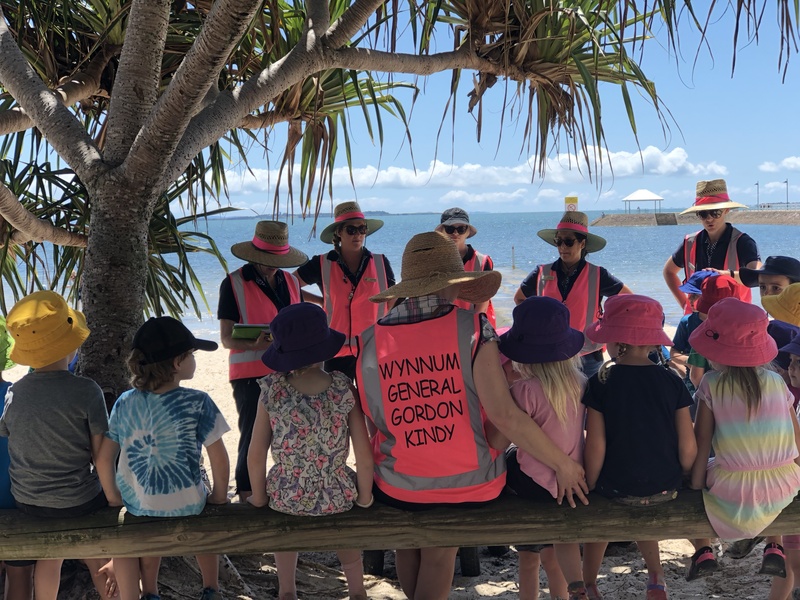 I was invited as Dr Suzie Starfish to visit Wynnum kindy to help the children identify the sea creatures and critters that we came across at beach kindy. And what a great time we had together in our outdoor classroom! It’s important to note that not all education happens in classrooms and giving children the opportunity for nature play and outdoor learning sparks imagination and curiosity and kids connection to our coasts and oceans. 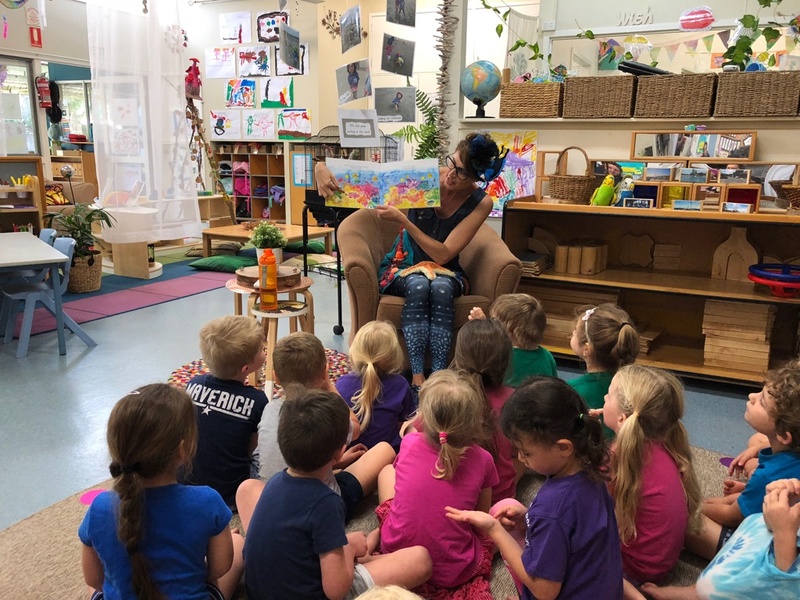 After beach kindy we went indoors for story time and I was SO excited to read my new children’s picture book, “The Great Barrier Thief“, and what a FIN-tastic response to my story!! I just love those kindy hugs and my job! It’s been a highlight for me to be able to visit Exmouth District High School in Western Australia for the past four years, as part of the Ningaloo Outlook project (a strategic research partnership between CSIRO and BHP). 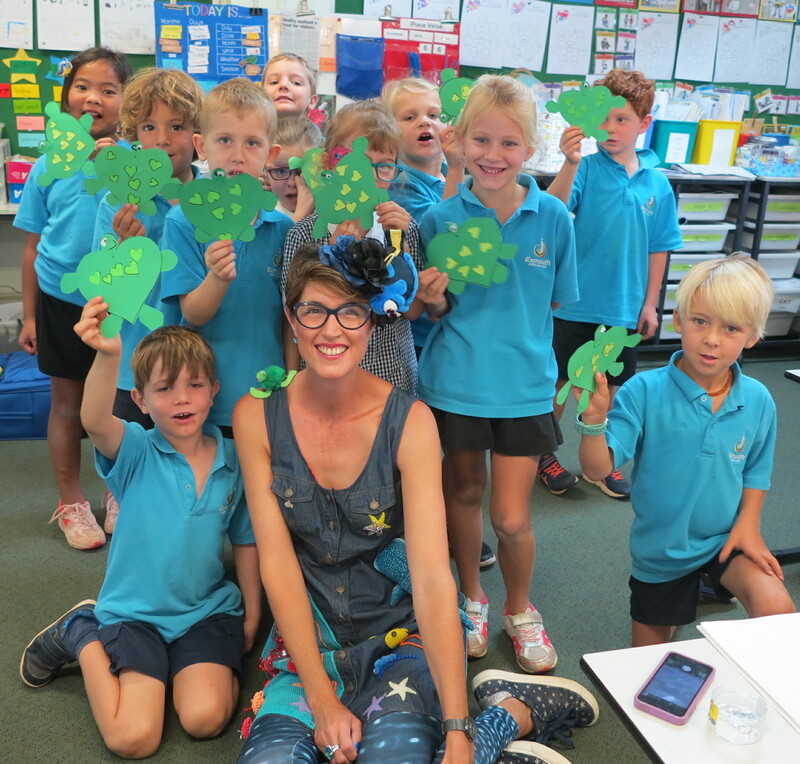 I visit the school as Dr Suzie Starfish and bring the art of marine science and storytelling into classrooms through creative and visual learning. 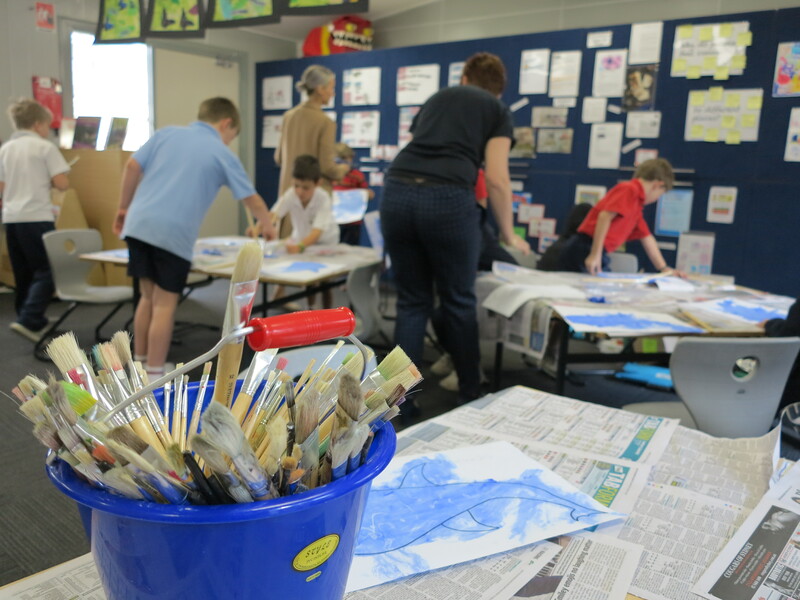 Below are examples of the school incursion work I do at Exmouth School, and in schools across Australia. 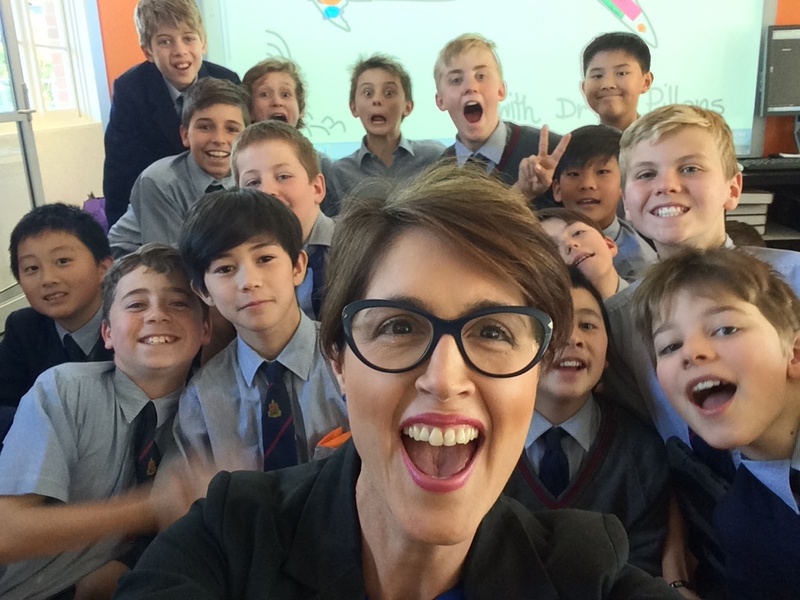 To give you an idea of my school incursions here is some amazing feedback from students and teachers of Exmouth School about my classroom visits which appeared in their school newsletter. I just love my job! 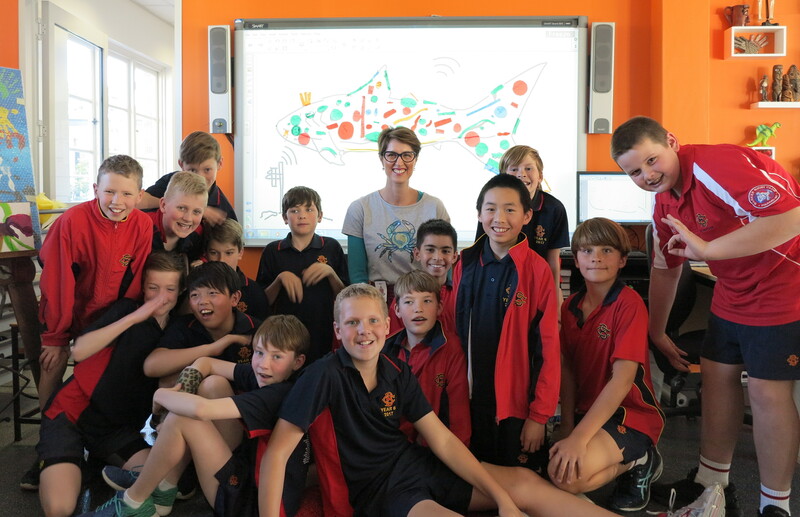 In 2017-2018 Dr Suzie Starfish was invited back to Exmouth District High School to specifically teach the high school science students (and teachers) about my visual learning techniques of graphic recording and sketchnoting. I was delighted by this request from teachers and visited grades 7, 8 and 9 science classes and walked them through “Sketchnote your science in School”, which is a visual learning technique I created which is aligned to the Australian Curriculum and helps students (and teachers) to make learning and science visual and fun! You can ‘sea’ more at Sketchnote your science. During 2016 Dr Suzie Starfish engaged with approximately 120 students from the primary and high school classes. 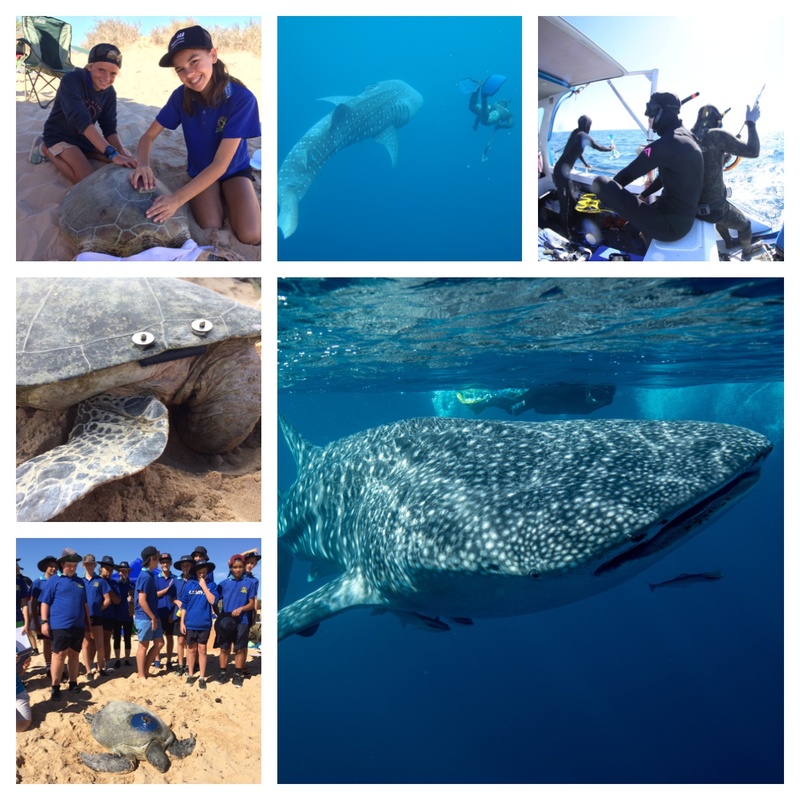 The schools incursion for the High School students included CREATIVE science talks with the Grades 7s and 8s entitled, “Tag along with the marine megafauna of the Ningaloo Marine Park“. 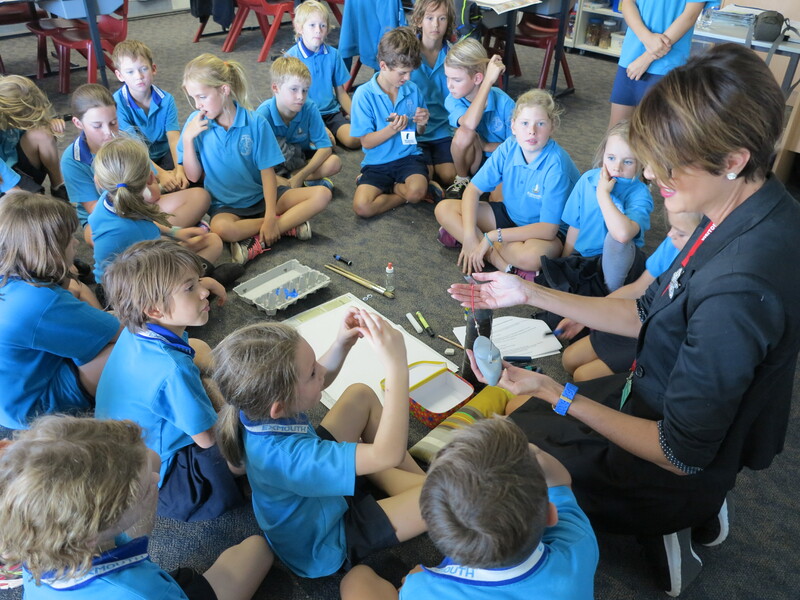 These class incursions discussed how and why the CSIRO marine research team tags green turtles and whale sharks by explaining the science and technology, megafauna movement and people and parks aspects of this project. 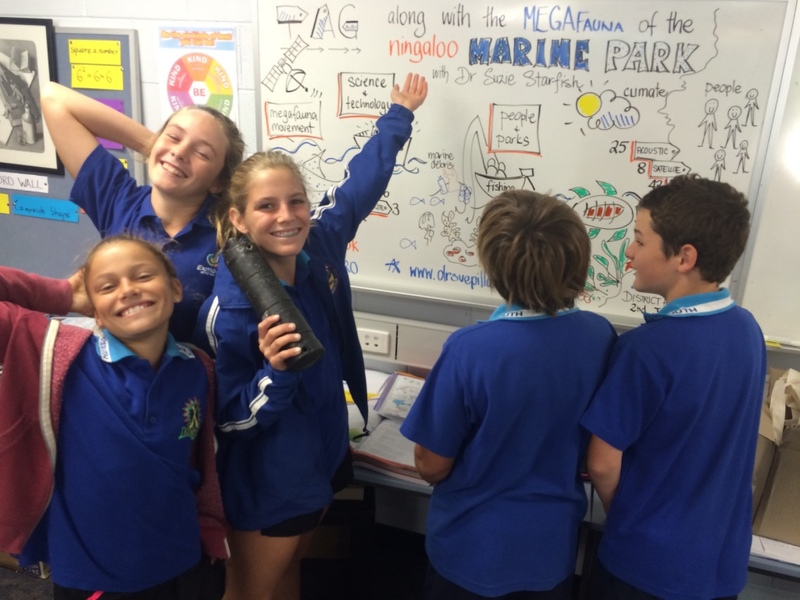 The photos below show how the scientists also work with the local community groups, school and Marine Parks to increase the scientific understanding of this marine research — showing real science engagement with outdoor classrooms. 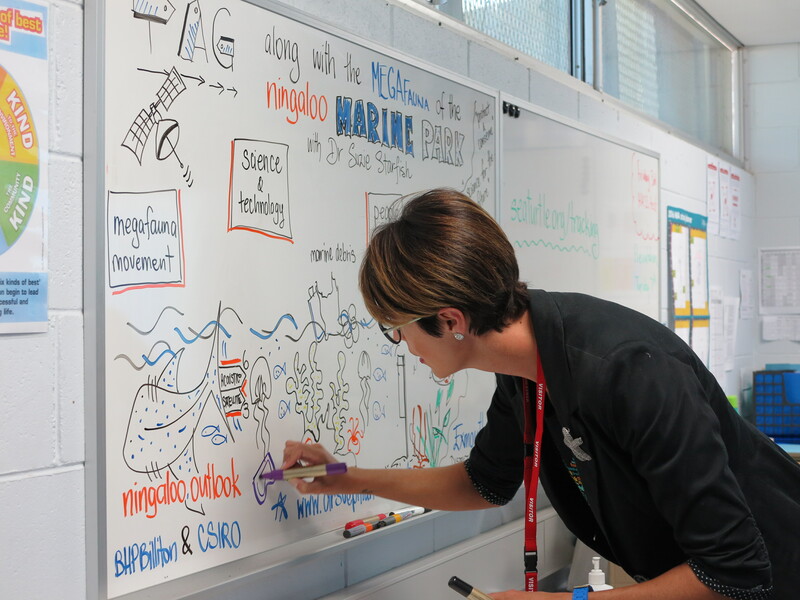 To really engage with the different learning styles of the High School students Dr Suzie Starfish utilised a number of different visual learning approaches from handing around marine tags, showing video footage of the tagging process to graphically recording her own talks! 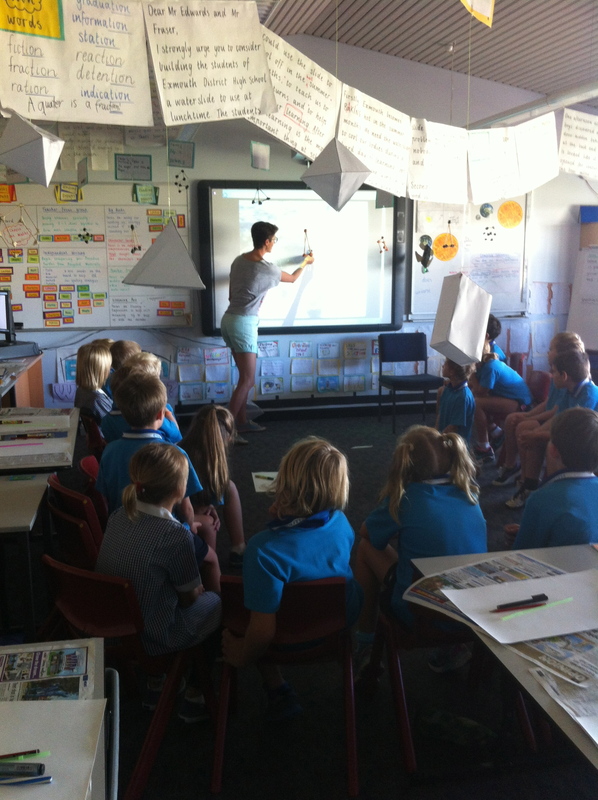 This visual storytelling approach is very engaging in the classroom as ‘Drawing is Thinking‘. 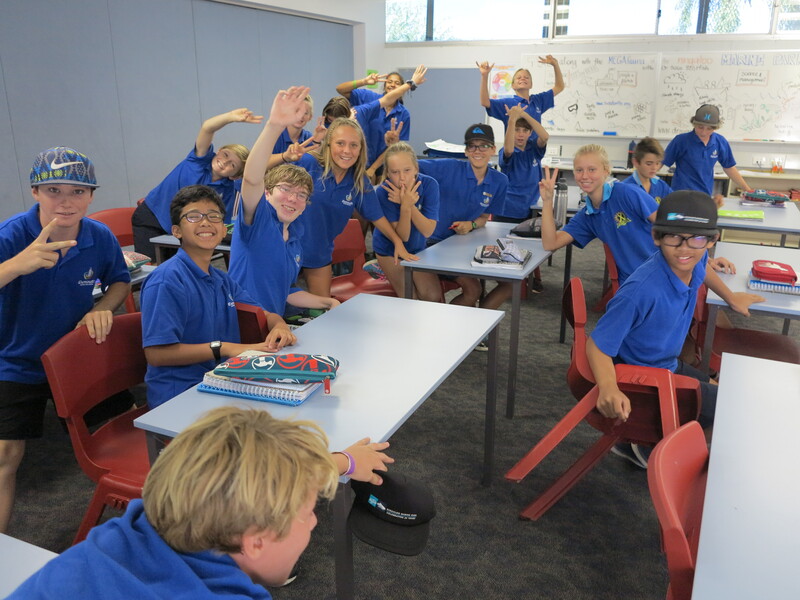 As you can see from the photo below there was an excited response from the science classes showing creative thinking and STEAM in action! 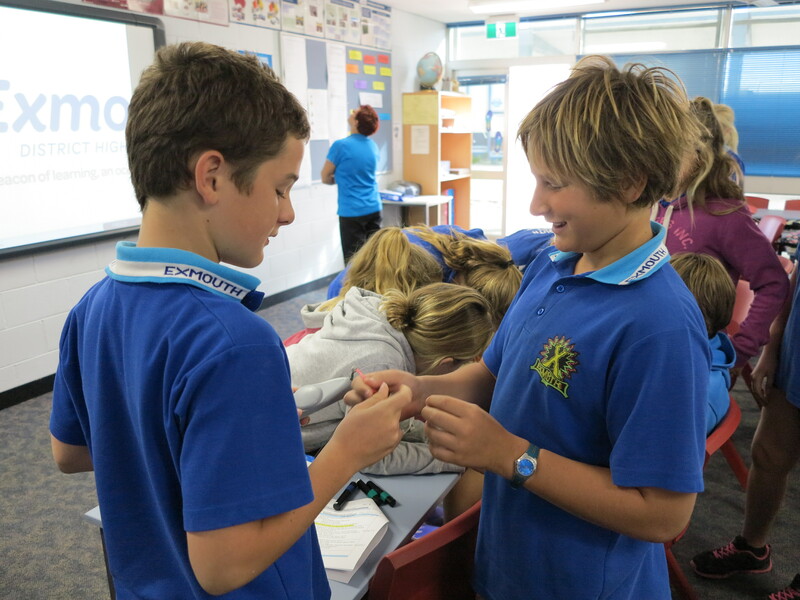 Some great feedback from the Year 7 Science class of Exmouth District High School on Dr Suzie Starfish’s visit! 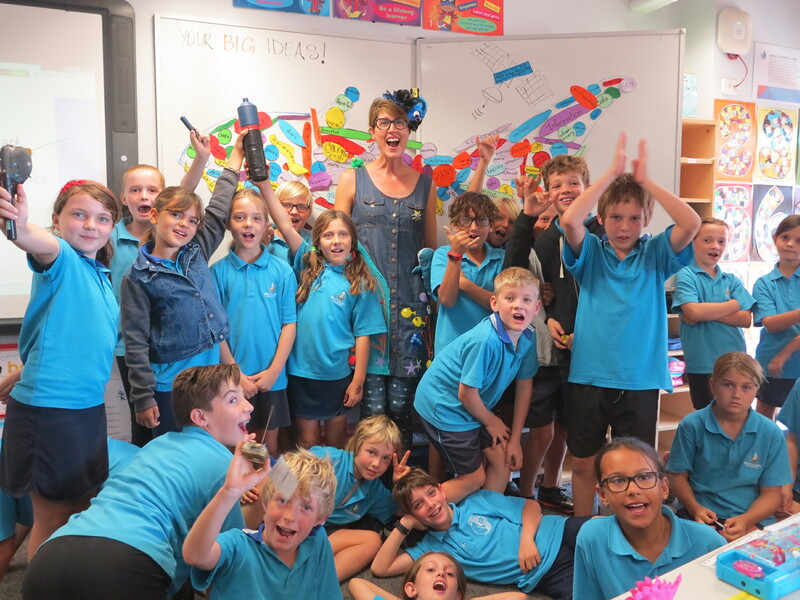 As part of the schools incursion program with Exmouth School it has been such fun for me as Dr Suzie Starfish to visit the primary school classes from grades 2, 3 and 4 and over the last three years (2015-2017). 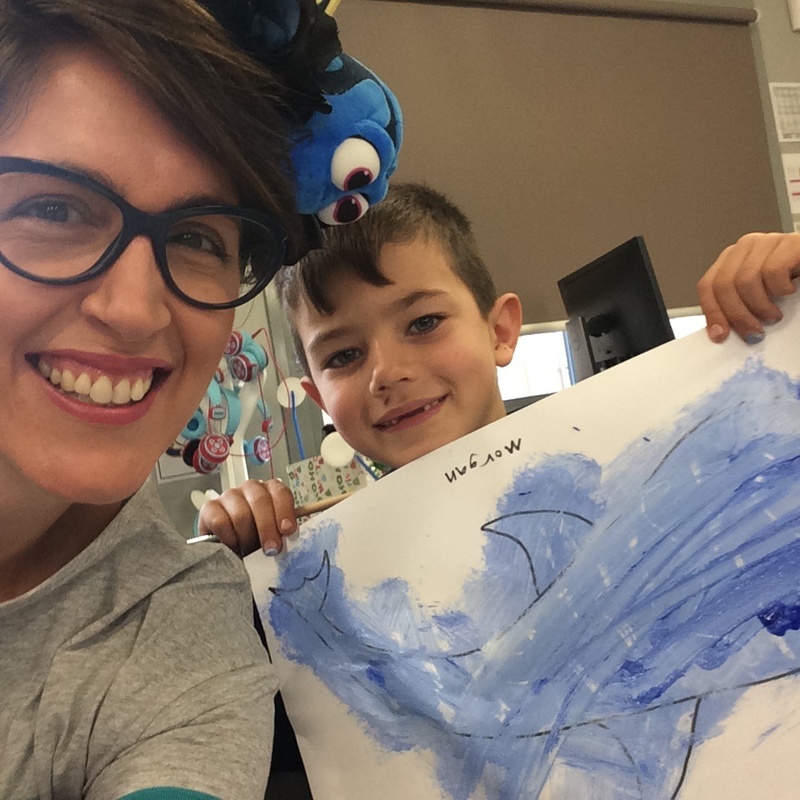 It’s also amazing to ‘sea’ that Dr Suzie Starfish has been visiting the Primary School classes of Mr Plummer for four years in a row and what a great time we have together learning about the art and science and storytelling of the sea! I love engaging with our little ones for ‘School of Fish’! 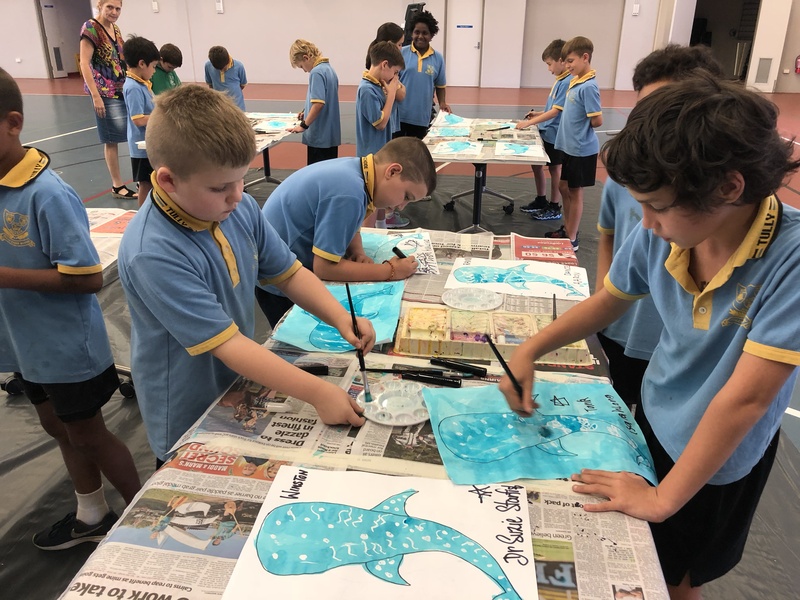 The class incursions by Dr Suzie Starfish ‘show, tell and be creative’ about the science of tagging marine megafauna in the Ningaloo Marine Park. 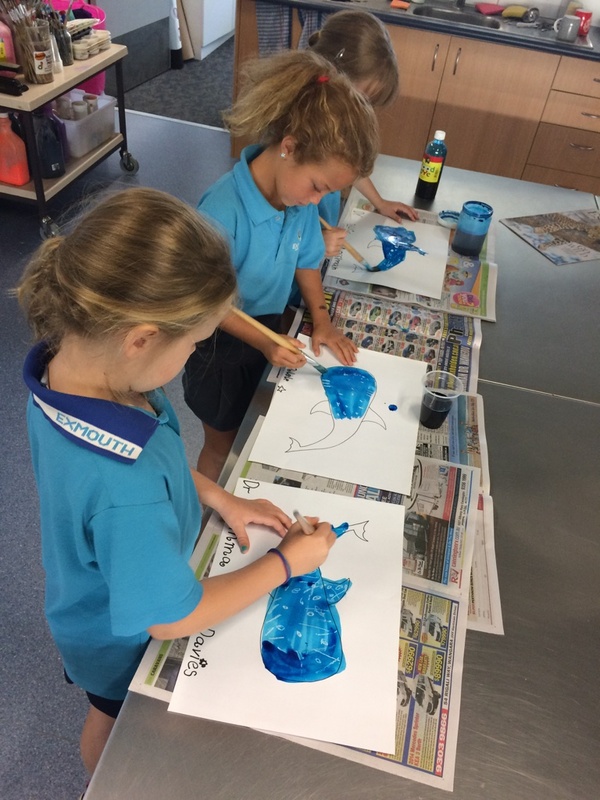 Students get to watch scientists catch, tag and release turtles and tag the biggest shark in the sea (the Whale Shark) and after sea-ing and talking about the marine science in the sea the students do some hands-on ‘Shark Art’! 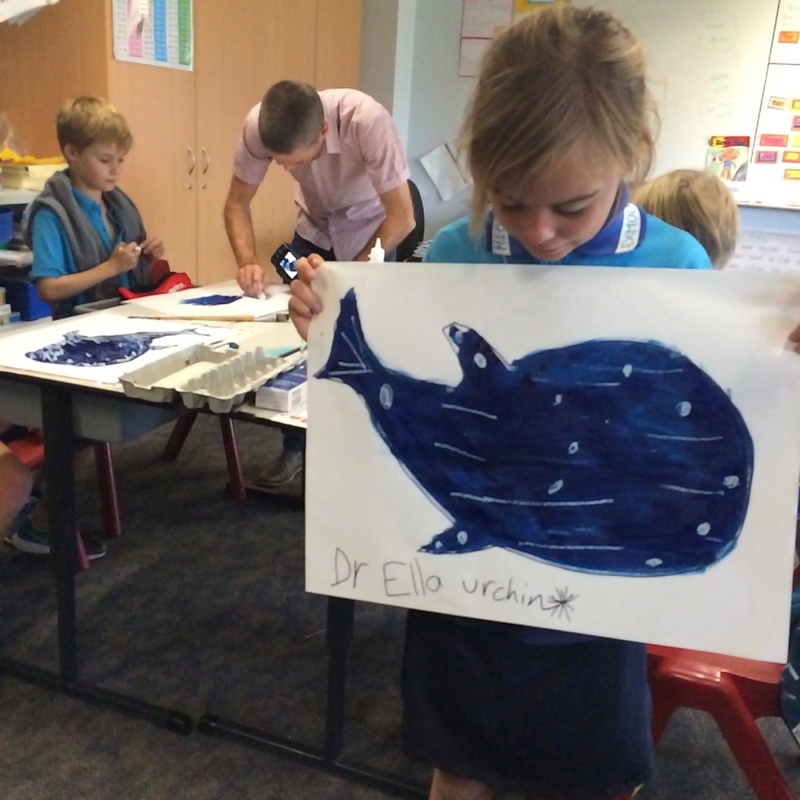 Every year the primary school classes of Exmouth School show what amazing artists and future ocean stewards and storytellers they are! Dr Suzie Starfish also receives many hand written letters from the students, which she just loves. 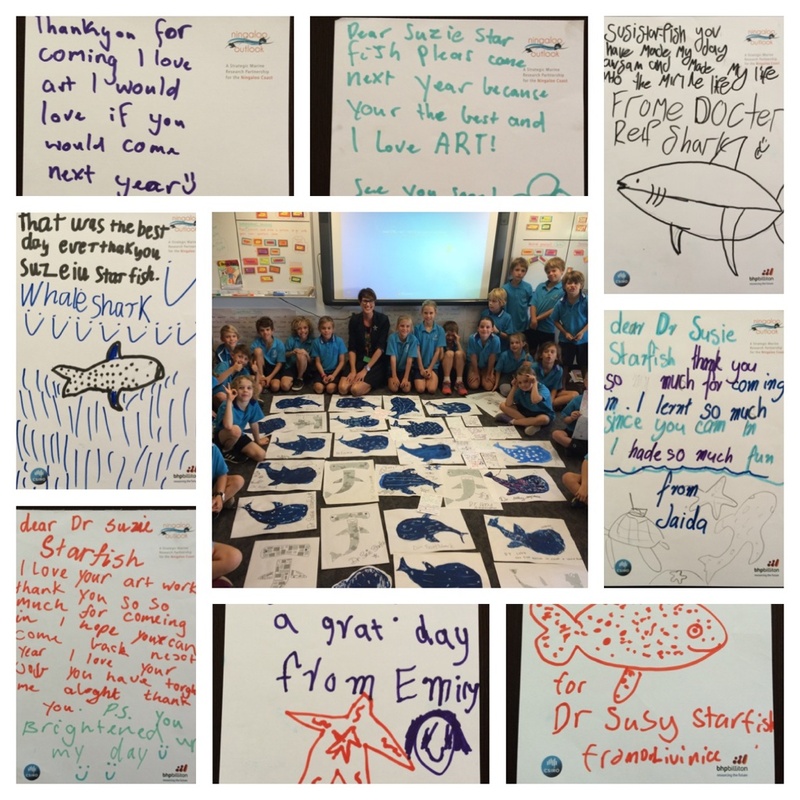 Thank you so much for having Dr Suzie Starfish in your classrooms, the best ‘School of Fish’!! Lot’s of creative thinking and STEAM in action here!! 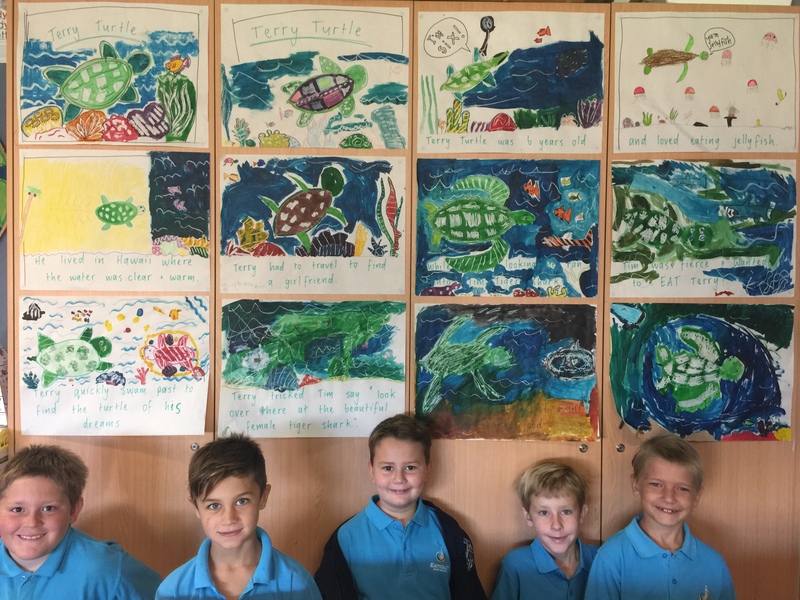 Title pages illustrated by the students of Years 3/4 about a ‘Turtle named Terry’. Turtley Awesome! 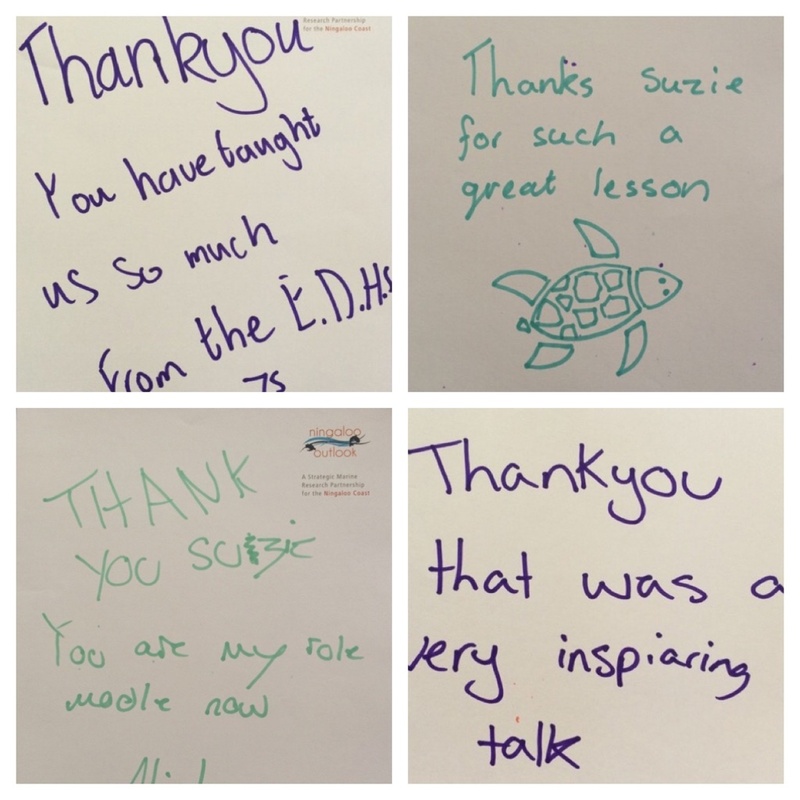 Wonderful feedback from the Year 3 and 4 classes of Exmouth School about their time with Dr Suzie Starfish! 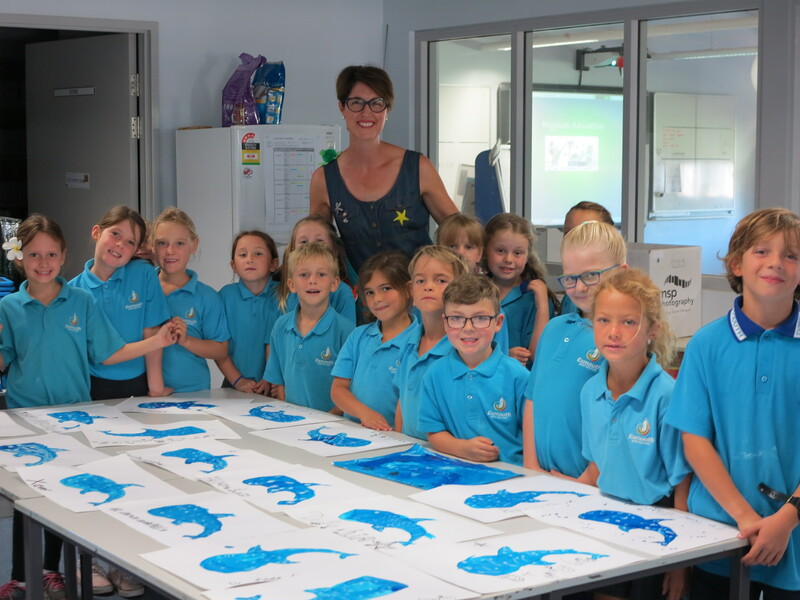 In 2015 Dr Suzie Starfish was invited for her first visit to Exmouth School to spend time with the Grade 3, following a marine research trip she did with CSIRO to tag charismatic megafauna in the World Heritage Area of Ningaloo Marine Park. Using a range of interactive techniques including photos, maps, animal tags and real-time research Dr Suzie Starfish discussed the biology and features of the charismatic megafauna of Ningaloo Marine Park, which included creative science stories about Whale Sharks, turtles and reef sharks. Using ART such as painting and collage Dr Suzie Starfish then discussed the biology and features of the jellyfish, a common and well-known marine animal found in all of the worlds oceans. 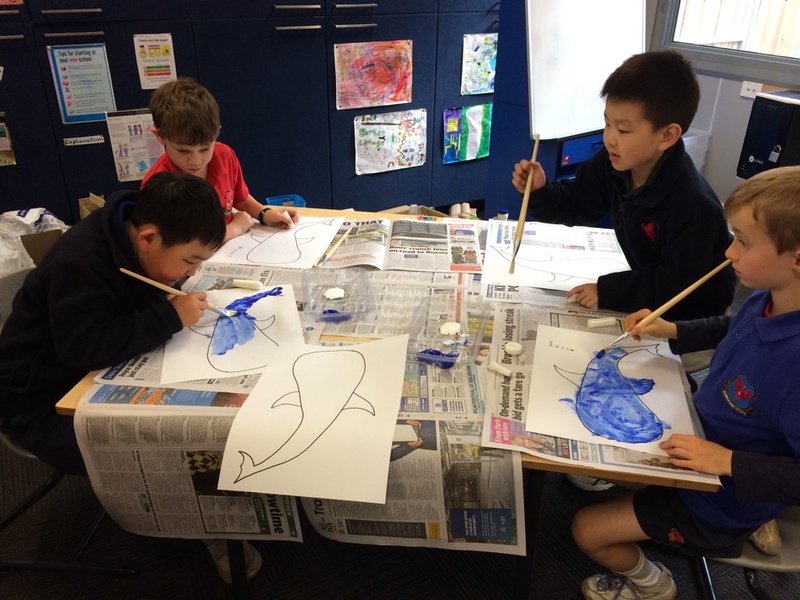 Art allows students to use their imagination and discuss the science behind marine animals in a different setting, a more free and creative environment. 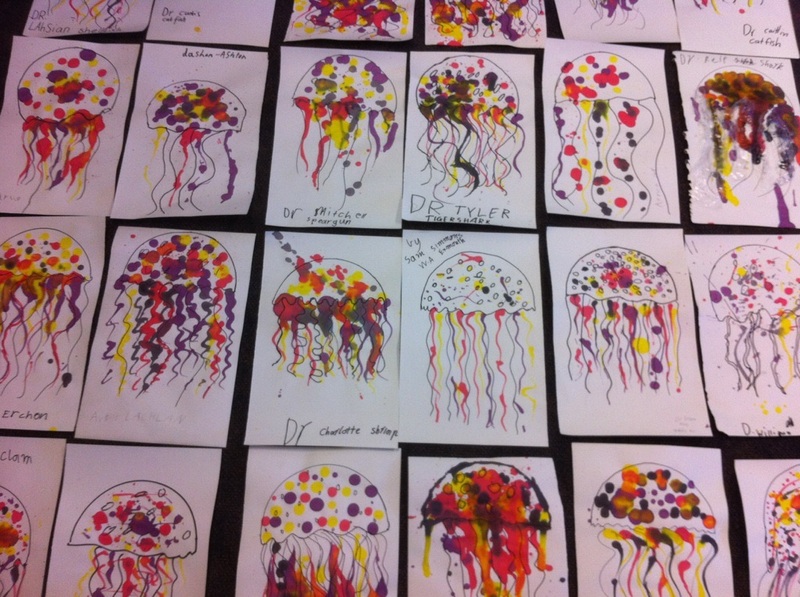 As you can see from the fantastic artworks above there are a lot of budding marine art-scientists at Exmouth School!! 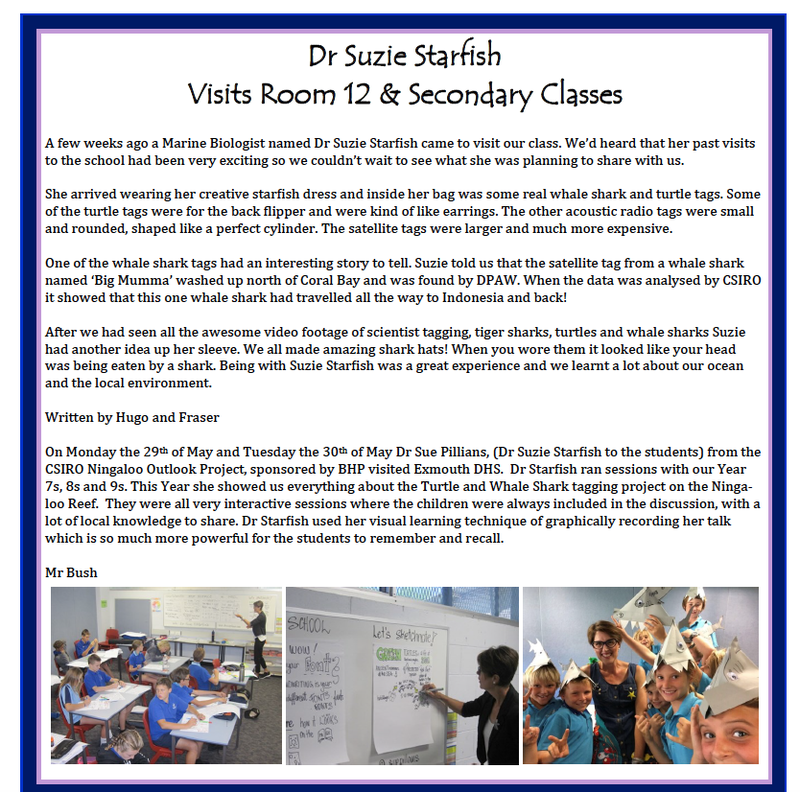 to find out how you can have Dr Suzie Starfish in your classroom or group.